Throughout Ecuador there are some wonderfully fascinating, exciting and inspiring experiences that we can offer you on your holiday. Here are a few ideas to show you the kind of things you could be doing here, though of course there are always more, and we are also very happy to help you with anything you specifically want to do or see. 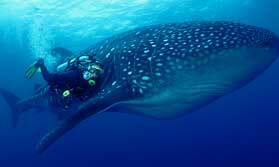 The Galapagos is one of the world's best diving destinations. We know and love Ecuador, and would be delighted to help you plan your perfect trip here. Start planning your tailor-made holiday. Tell us what you want, and we will tailor make your perfect trip. Authentic experiences at the right price with excellent back up. Find out more reasons to book with us.